Tangential Cutting Module TCM-4 | DamenCNC B.V. 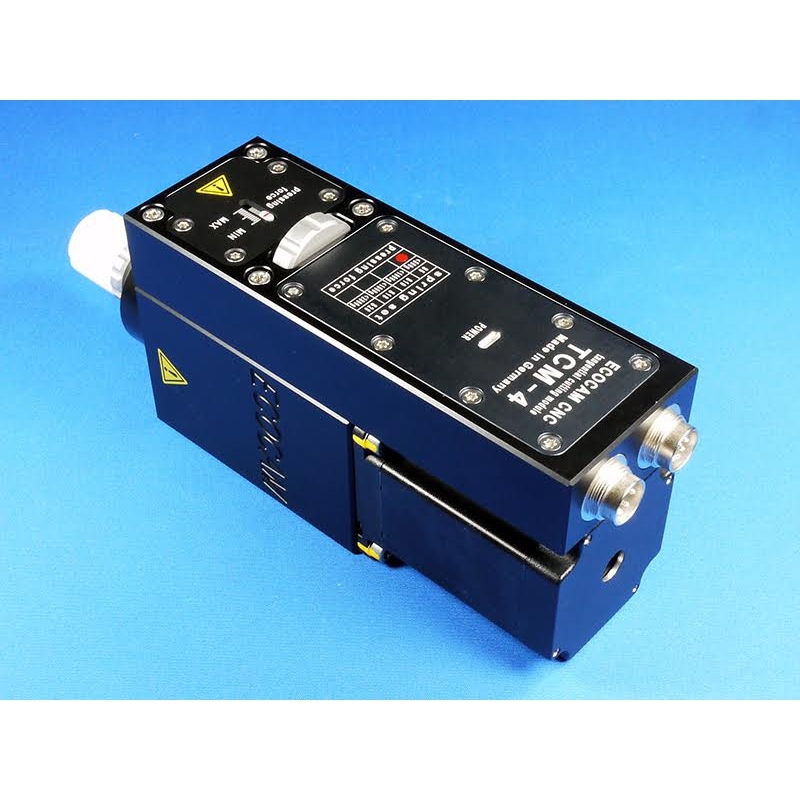 The TCM-4 is a processing unit for CNC-machines to cut various materials such as foils and flocking materials. 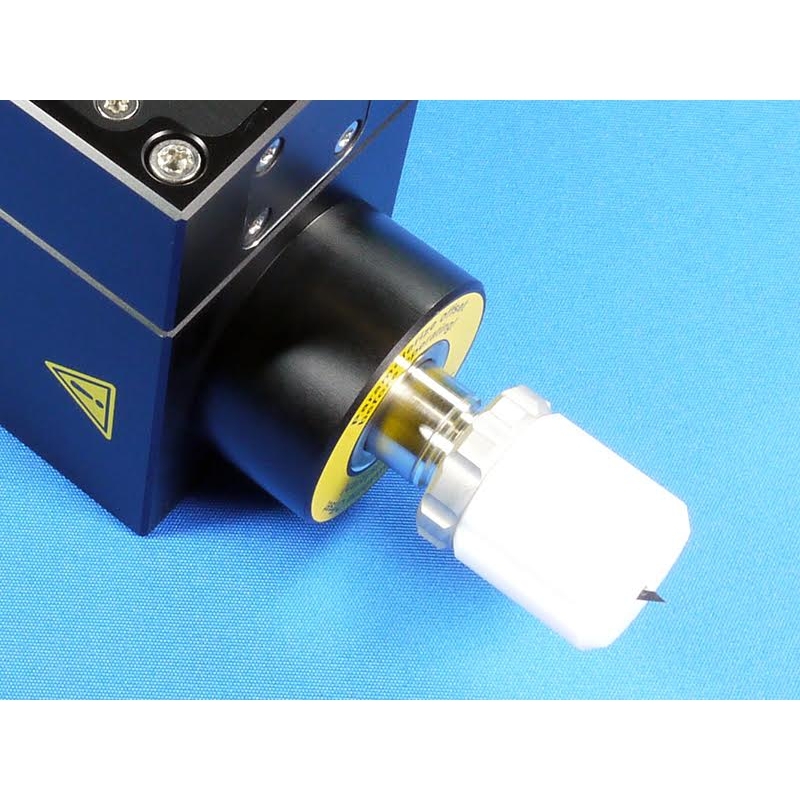 Since the blade is rotated by an actuator in each direction of cutting, even small contours and writings are processed accurately and quickly. The pressing force of the gliding shoe can be adjusted sensitively. I. The outside dimensions and the fixing points have not been changed. II. 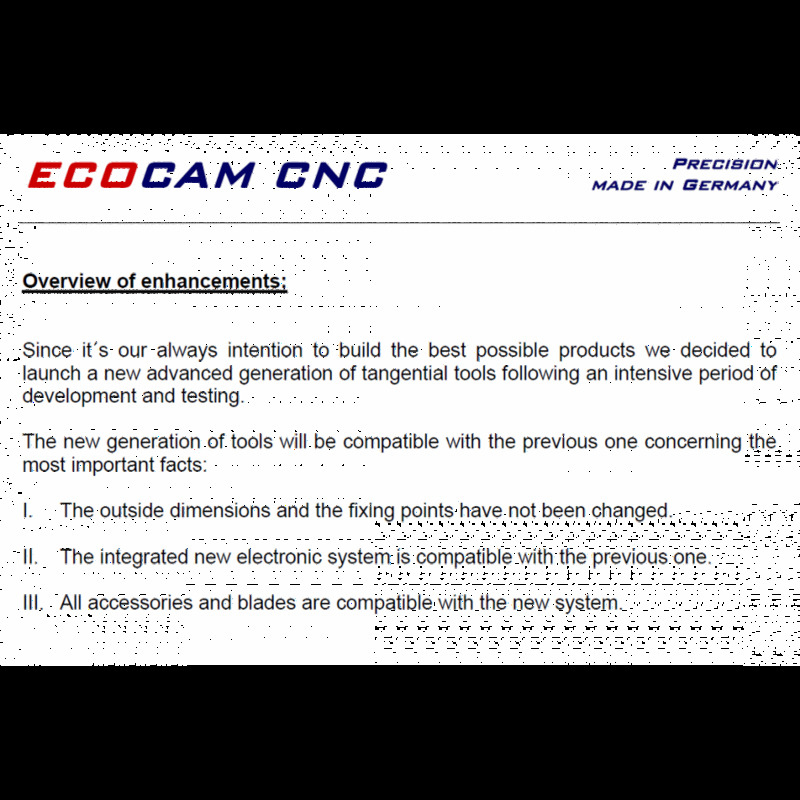 The integrated new electronic system is compatible with the previous one. III. All accessories and blades are compatible with the new system. 1. The most important improvement refers to the new compound axis that combines a hollow steel axis with an aluminium inlay for the fixation of the blade. The new axis of the TCM-4 has nearly the same weight like the old one but it´s more robust. Furthermore the new axis is guided by precise ball bearings. Axial and torsional stiffness as well as wear resistance are optimized. 2.) 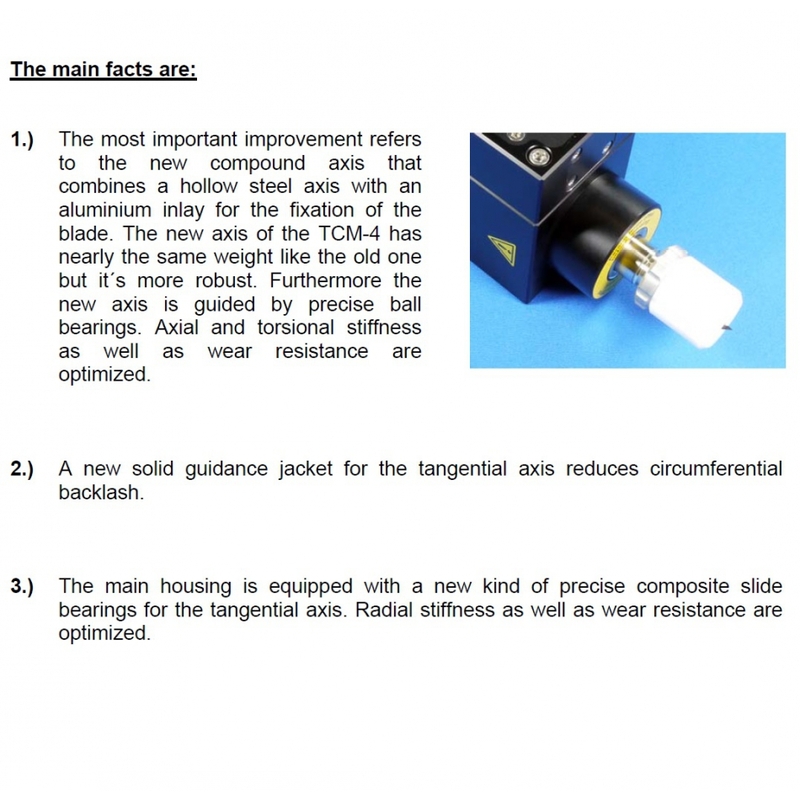 A new solid guidance jacket for the tangential axis reduces circumferential backlash. 3.) The main housing is equipped with a new kind of precise composite slide bearings for the tangential axis. Radial stiffness as well as wear resistance are optimized. 4.) The new internal electronic system is equipped with a reverse polarity protection and an optical display for the working status. 5.) 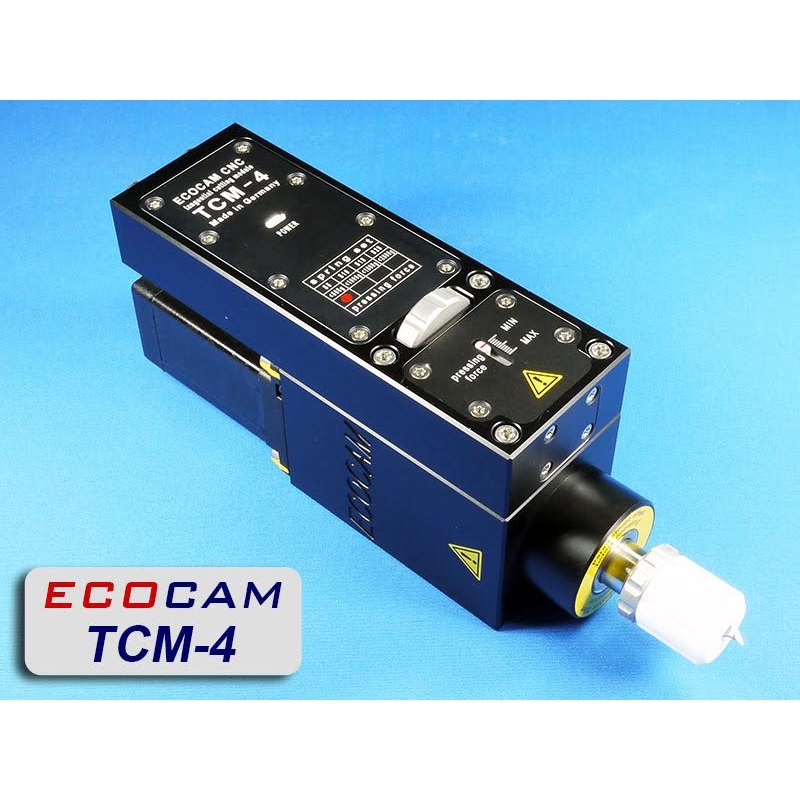 The TCM-4 includes an internal voltage regulator and stabilizer. 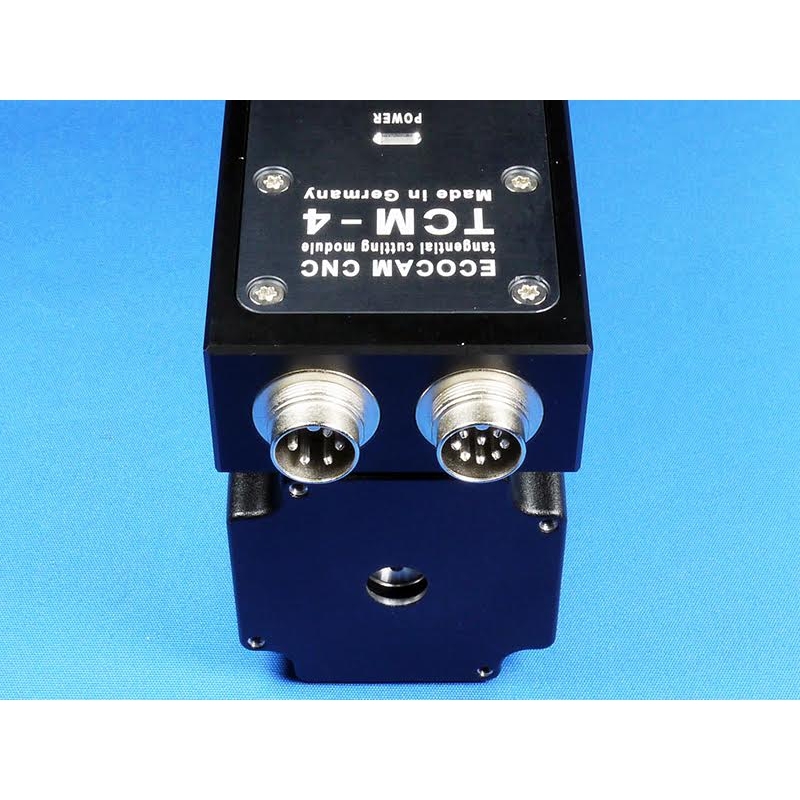 Its possible to supply the sensor electronics within a range of 6-24V DC. The previous electronic system had to be connected to 12V DC. 6.) 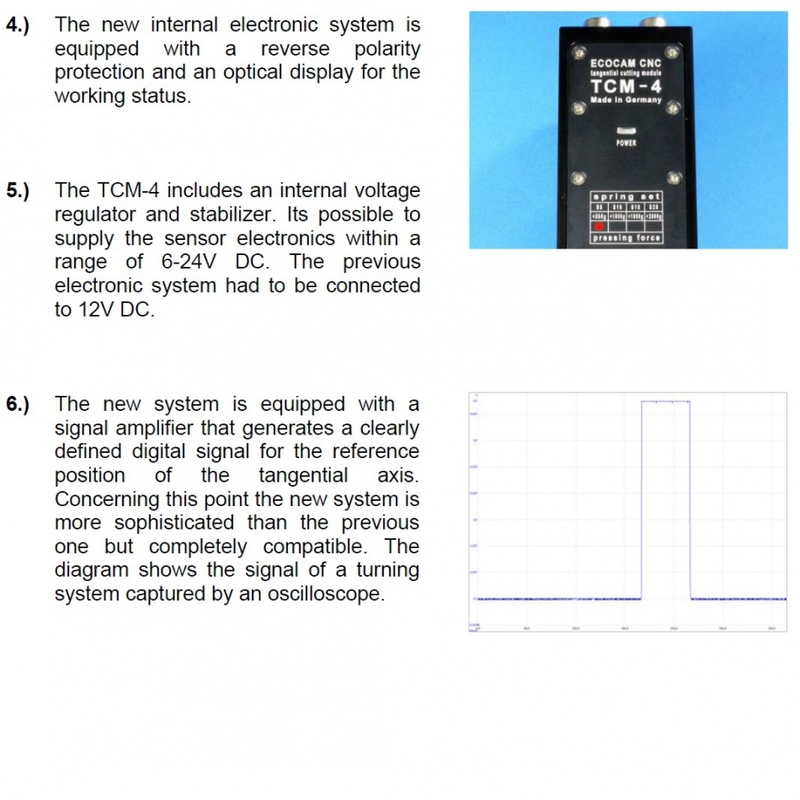 The new system is equipped with a signal amplifier that generates a clearly defined digital signal for the reference position of the tangential axis. Concerning this point the new system is more sophisticated than the previous one but completely compatible. The diagram shows the signal of a turning system captured by an oscilloscope. 7.) A new 2-phase high-torque stepper motor with a full step angle of 0.9° (= 400 steps per revolution) ensures precise positioning and strong holding force. 8.) 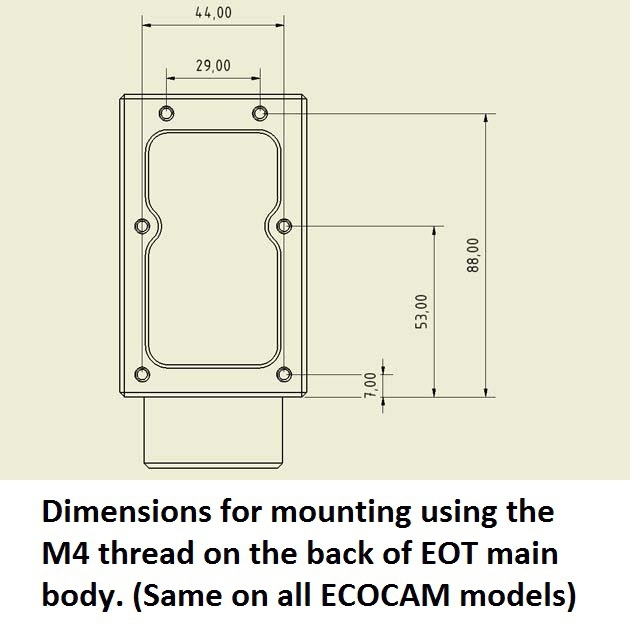 A new kind of industrial heavy duty connectors simplifies the wire assembling and improves the mechanical stability of the cable connection. 9.) 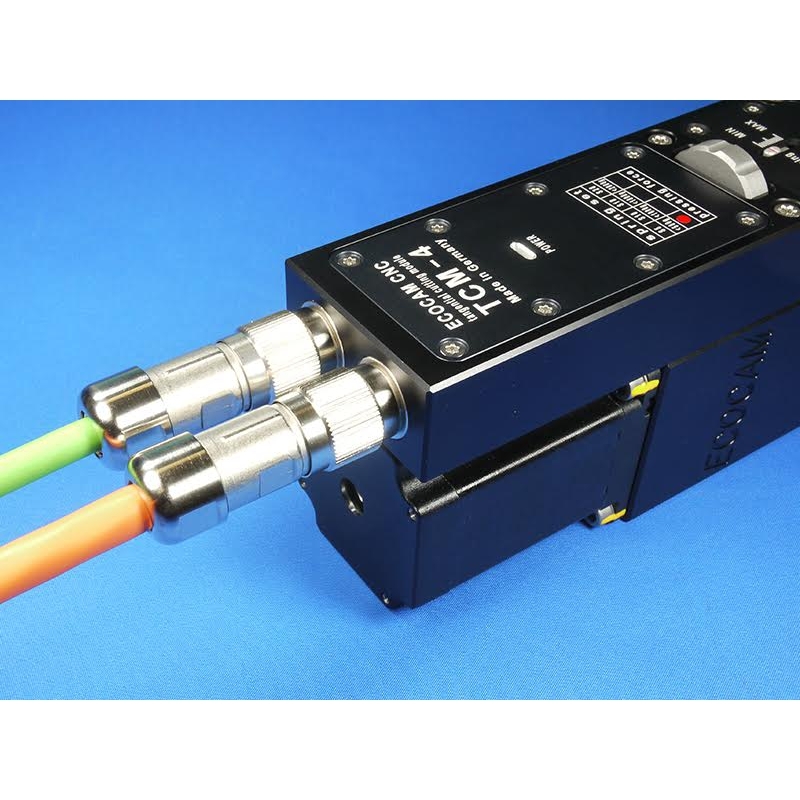 We have chosen a cable connecting system that allows to use two different types of wire connection: crimping and soldering. In both cases it´s possible to handle and connect single wires what makes the assembling much more convenient. It´s not necessary to solder within a very limited space in case the single contacts would be fix connected with the housing. 10.) The systems heat dissipation performance has been improved due to the new kind of coating for body and housing.